Throughout your life you’ve worked, you’ve saved, and you’ve accumulated wealth within your plans, but now what? How do you transition your wealth into income to cover your living expenses? Consolidating the multiple retirement accounts you may have can help you better manage your assets, maximize tax advantages and take timely distributions. Retirees have had a lifetime of saving and investing that has been primarily focused on trying to increase gains and returns. Once the working years end most people find that taking increased risk for returns keeps them awake at night. This is where expert Tax Planning and Preparation, utilizing ideas and strategies specifically designed for retirees, comes into play. Most people do not know that in the retirement years every dollar saved by minimizing income taxes will increase your spending capacity in retirement more than additional growth on your money. This is known as Income Tax Minimization. You will find that by asking your current tax preparer or CPA, this this is an area of tax specialty not practiced by many. At Greenline Associates we have sought out the very best in this area. We have partnered with them to not only help, but to make certain your taxes are minimized to provide the absolute most, spendable dollars in your retirement years. 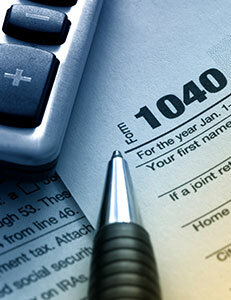 Fill out the form below to receive your complimentary Second Opinion Tax Review.